Spoilers ahead! 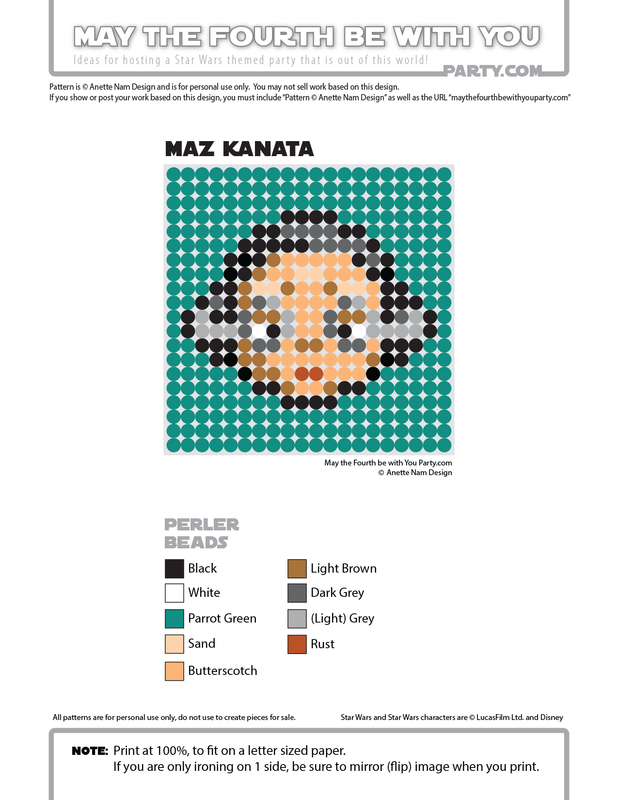 Except for Snoke, Maz Kanata is the most mysterious of the new The Force Awakens characters. Portrayed by Lupita Nyong’o in a wonderful motion capture performance, Maz is the “wise old sage” character all good mythical stories need (and Star Wars is missing now that Yoda is no longer in the picture). There she has been hiding Luke’s first lightsaber. The one that used to belong to Anakin before he turned to the dark side. The one that Ben held on to for all those years, in order to give to Luke, when he was thrust into action. Here Maz (tries to) gives Rey that same lightsaber, when she is in the thrust into the fight of her life. There is very some very nice symmetry here! 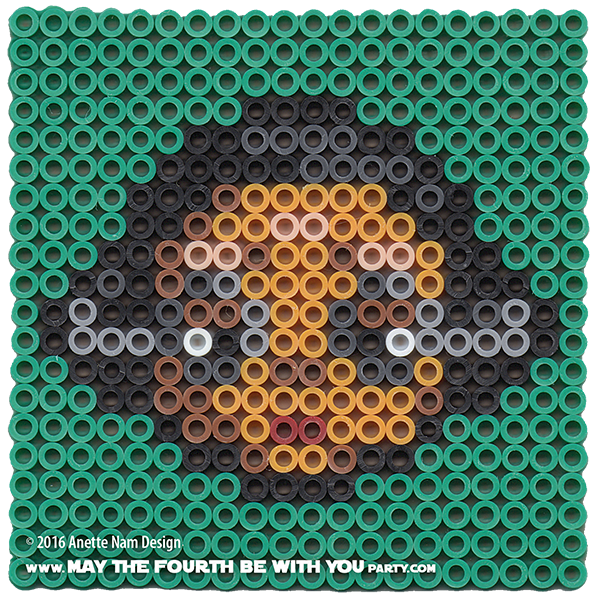 Without further ado, here is the 13th of our The Force Awakens patterns, and #42 in the Perler bead/cross stitch/Lego/pixel/mosaic series.